The story is based on the meaning of grief and loss in a family when they lose the mother figure, Teresa Wood. We see the different journeys of Claire and Joshua Wood, her kids, and also of her husband Bruce. We follow them from the moment they find about her mother's sickness and how they cope later with grief. Even though I was not able to relate to any of the characters, it is very interesting to see how people deal with grief or a loss of someone differently. Most of the decisions that are done by these characters after Teresa dies might not be the best ones, but it is the only way they find their lost way and reinvent themselves in an effort to battle grief. Cheryl Strayed leads us to this vivid picture of what these three characters go through. However there is not much plot in the story in itself, and we only follow the characters through their journey but without any foreseen objective/goal in the end but only to overcome grief which is the known theme of this story. The writing was good and I enjoyed this part, however, I struggled to finish the book, the lack of plot and direction of the characters was something that came into mind whenever I wanted to continue with the book. Not my cup of tea, but a totally different story with a very new perspective. 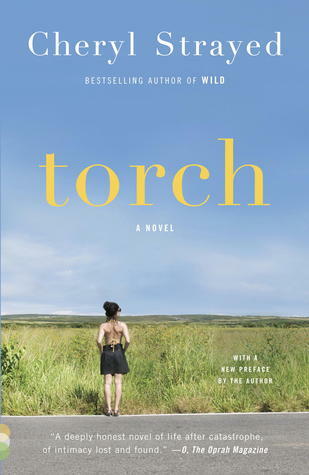 Sign into Goodreads to see if any of your friends have read Torch.